If you are looking for an adventure of a lifetime, Iceland is a thrill seeker’s paradise. With everything from viewing the northern lights to climbing giant glaciers to bathing in geothermal pools, you won’t be able to get enough of this small country. Did you know you can get a round trip flight to Iceland for under $250? Yes, you read that right. WOW air is low-fare, airline known for hooking people up with affordable, international flights. Depending on what time of the year you want to visit Iceland and where you’re flying from, you can almost guarantee that WOW air will have the cheapest flights. Remember to travel light though, because like most low-fare airlines, WOW air has a hefty baggage fee. Once your plane lands, we recommend renting a car, or better yet, a budget-friendly camper van, which will provide you with transportation and lodging. 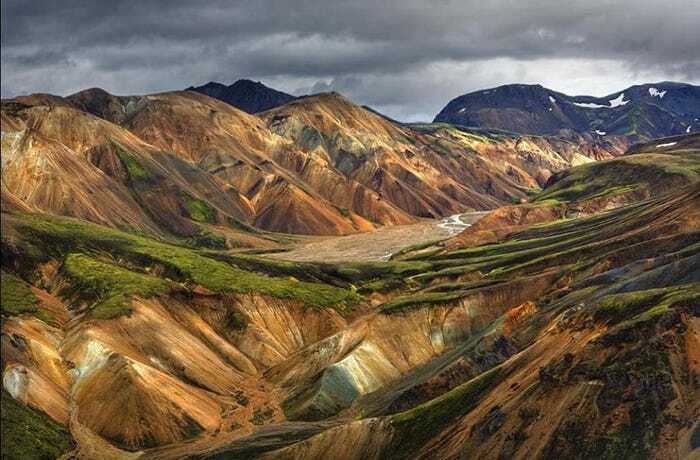 You will get the most out of your Icelandic adventure by letting roads of Iceland guide you past the abundance of waterfalls, glaciers, volcanoes, and mountains. Only have one day? Drive the Golden Circle. 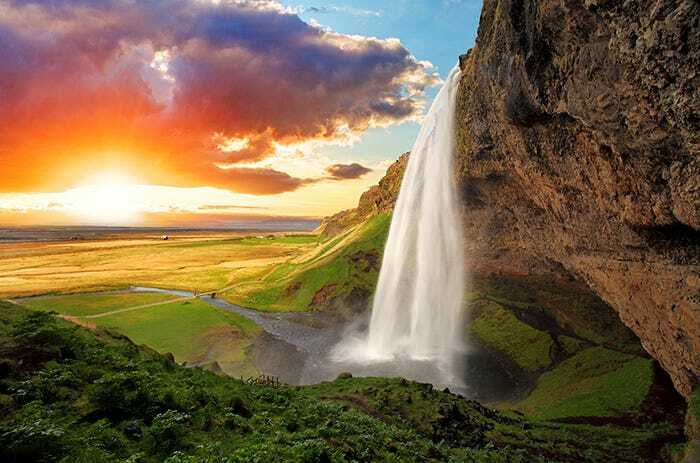 This route is only about 187 miles and will take you to 3 of Iceland’s top spots: Thingvellir National Park, Gullfoss Waterfall and Haukadalur, the geothermal area where popular geysers, Geysir and Strokkur, are located. Have a whole week? Take the Ring Road. This route is about 828 miles and circles the entire country. 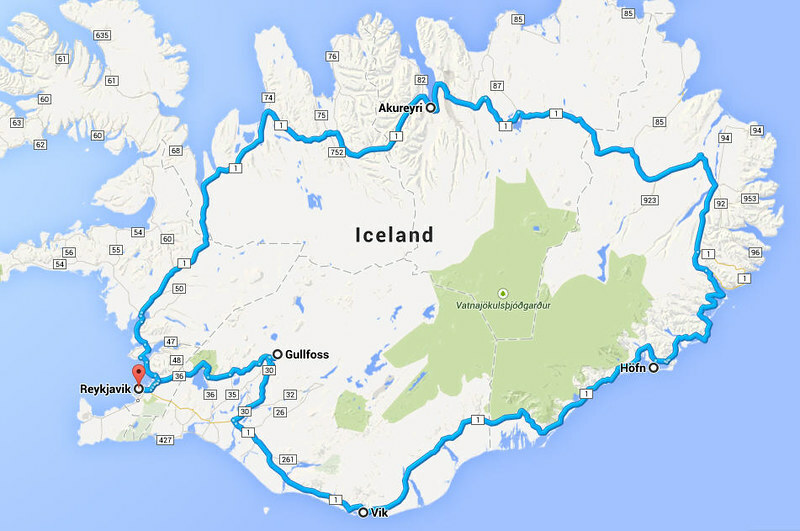 If you zoomed around the Ring Road, you could do it in one day, but you would miss all the great pit stops, so we suggest dedicating a minimum of a week to this route. 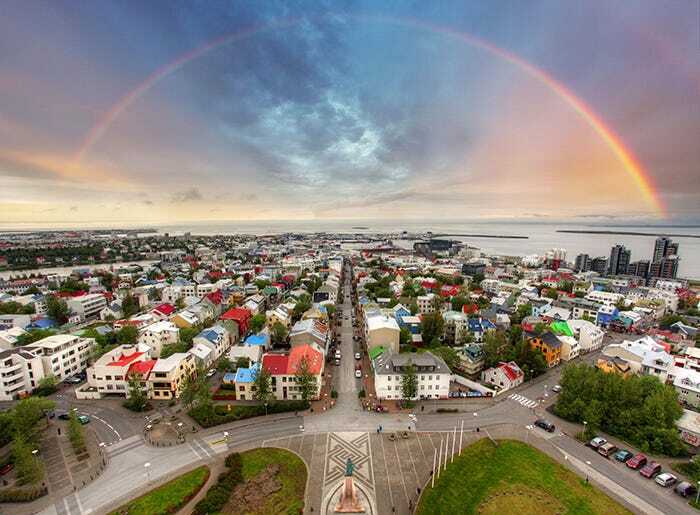 The capital, largest city, and heart of Iceland. Located about 31 miles from Iceland’s main airport, this is a popular spot for visitors to start their trip. 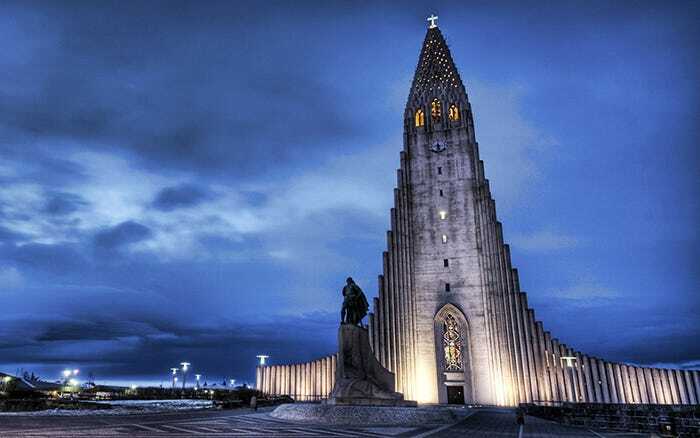 Hallgrímskirkja church is Reykjavík’s main landmark and its tower can be seen from almost everywhere in the city. It was designed by the late Guðjón Samuel in 1937, who was inspired by Svartifoss (Black Falls) and the fascinating shapes created when lava cools into basalt rock. The Imagine Peace Tower is a memorial to John Lennon from his widow, Yoko Ono. 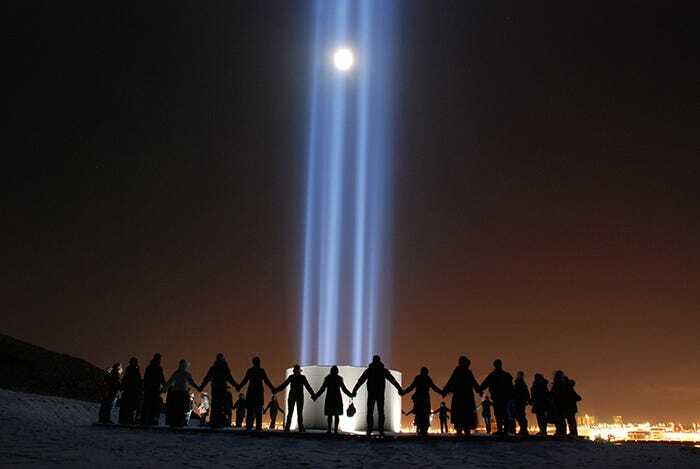 It consists of a tall tower of light, projected from a white stone monument that has the words “Imagine Peace” carved into it in 24 languages. These words, and the name of the tower, are a reference to Lennon’s campaign for peace. Only a 50-minute drive from Reykjavík, this natural geothermal pool is one of the 25 wonders of the world and one of the most visited attractions in Iceland. The warm waters are rich in minerals and bathing in the Blue Lagoon is reputed to benefit your skin. If you are eyeballing this pit stop, you must book a reservation ahead of time. 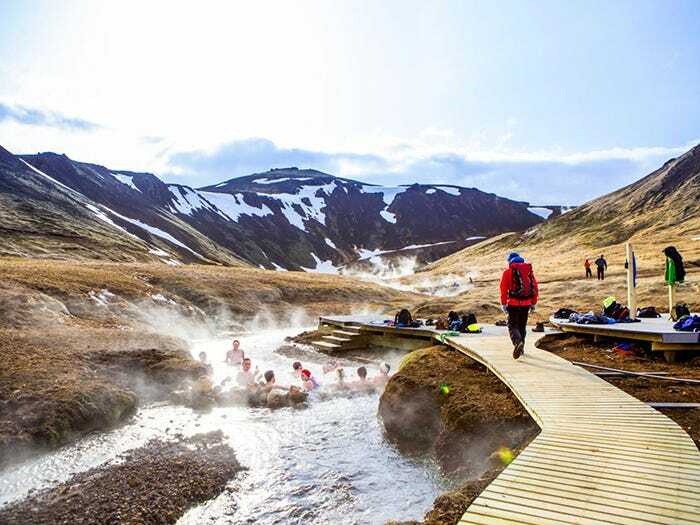 If the Blue Lagoon is booked or don’t want to fork out the extra cash for it, there’s another geothermal bathing area 40 minutes away from Reykjavík and you get to take a rewarding hike to it. However, the trek to Reykjadalur Hot Springs isn’t for the faint-hearted. It will take you about an hour or so hiking uphill to get to the part where you can get in the water, and that’s not including the time you spend awing at the gorgeous scenery. 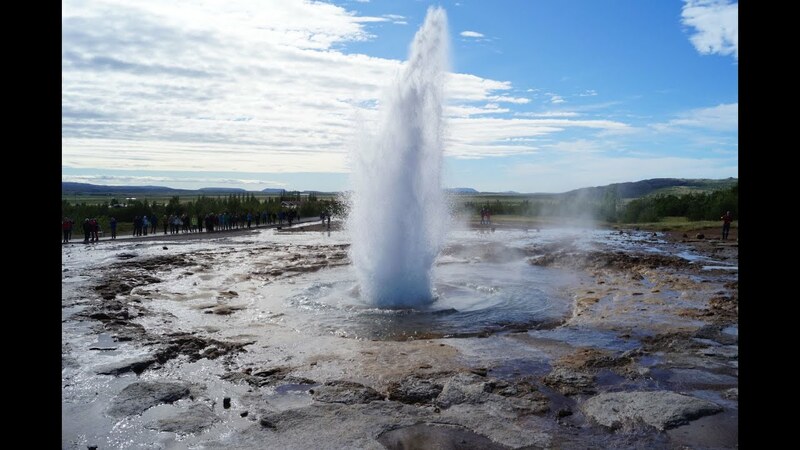 Located in the Golden Circle, this geothermal valley is home to some of the most famous sights in Iceland: Geysir and Strokkur. Geysir, also known as The Great Geysir, this was the first geyser known to modern Europeans. 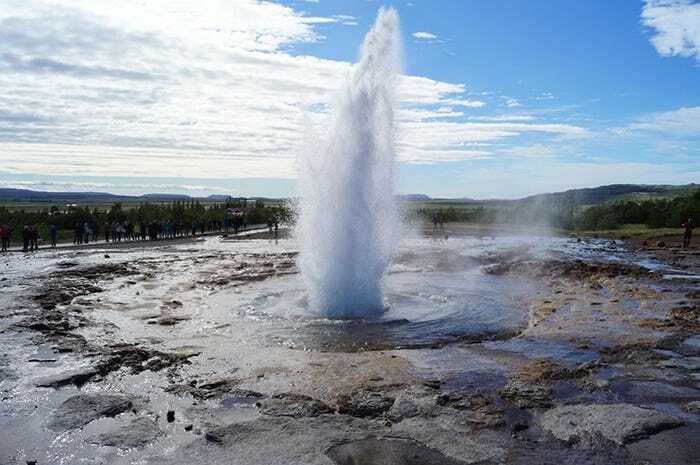 Eruptions at Geysir can hurl boiling water up to 230 feet in the air, however, eruptions aren’t too common, and have even stopped altogether for years at a time. Erupting once every 6 to 10 minutes, Strokkur is one of Iceland’s most famous geysers. Get your cameras ready because water usually shoots 50 to 65 feet high, but can sometimes erupt up to 130 feet high. Free to view and easily accessible, you can get up close and personal with a glacier. 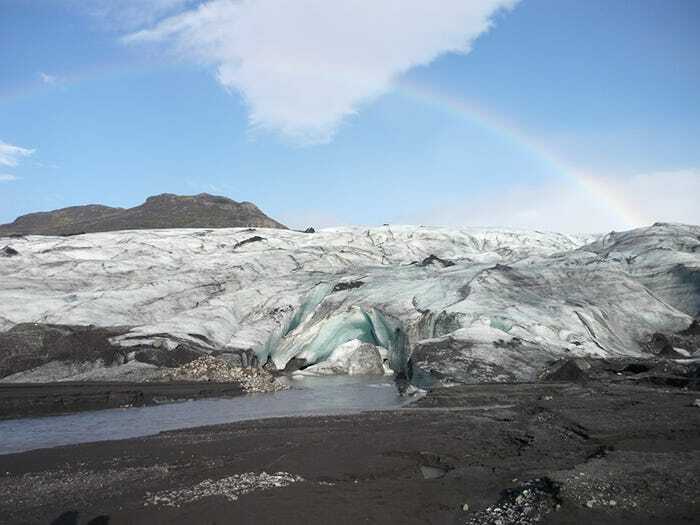 Did we mention that the glacier’s icecap covers an active volcano called Katla? If you are feeling extra adventurous, you can participate in a glacier hike for a little bit extra. Snowmobiling is also a popular activity to do here. Next to the Mýrdalsjökull Glacier is Mount Mælifell. It is listed as one of the amazing places on the earth by Amazing places on earth and is only reachable by a four-wheeled vehicle because the road is usually wet and sometimes completely flooded. The best time to visit this gem is in the summer time. This famous trail is approximately 14 miles long and will take you past the Eyjafjallajökull volcano and into the interior of Iceland. It is considered one of the most breathtaking hiking trails in the world. Forming part of the Golden Circle, the Gullfoss waterfall is one of the most popular tourist attractions in Iceland. Located in a deep gorge, the Hvítá River drops over a series of levels. Gullfoss is most famous for being massive in width versus height. At first glance, the edge of the waterfall is obscured from view, so it looks like the river vanishes into the earth. 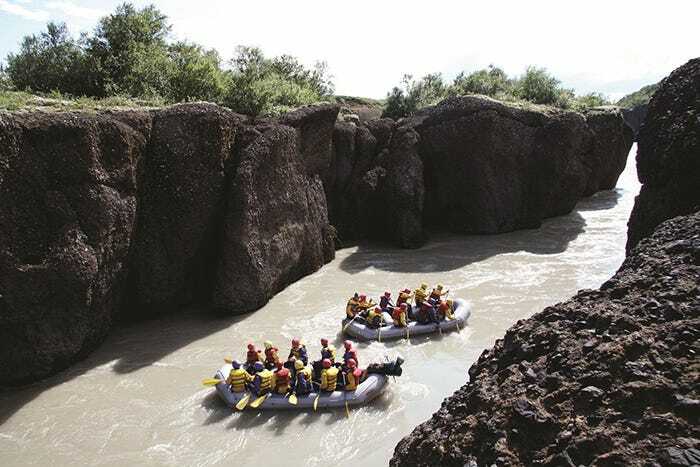 If you are looking for an adrenaline rush, you can white water river raft down the same river that drops into the narrow gorge at the Gullfoss waterfall. Due to the danger of flooding, this river has the reputation of being the most dangerous river in Iceland, but don’t let that scare you away just yet. This is a popular activity for Iceland natives. Fun fact: Since 1983, more than 150,000 Icelanders, which is roughly half of today’s population, have gone rafting down Hvítá River. Iceland is one of few islands sitting on the Mid-Atlantic ridge (aka what separates the Eurasian and North American Plates). The Mid-Atlantic Ridge is mostly an underwater feature, but portions of it in Iceland have enough elevation to extend above sea level. That’s where the Silfra fissure – a crack between these two continents – is located. 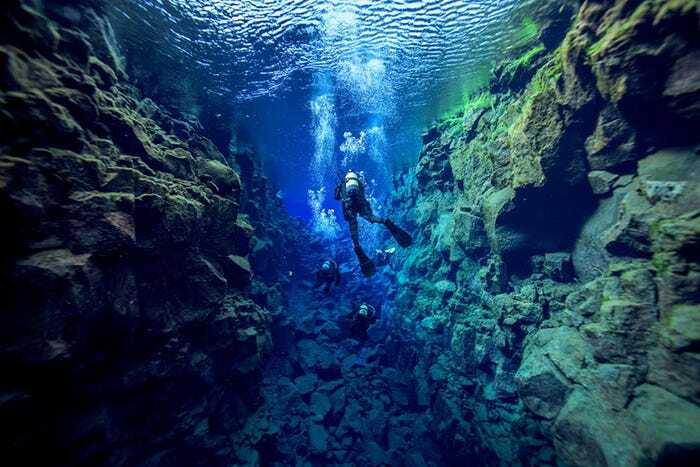 Not only do you get to see this geological phenomena, but it the only place where you can snorkel or scuba dive directly between two continental plates. Although you would have to jump into some extremely cold water, it is known for having the clearest water on Earth. 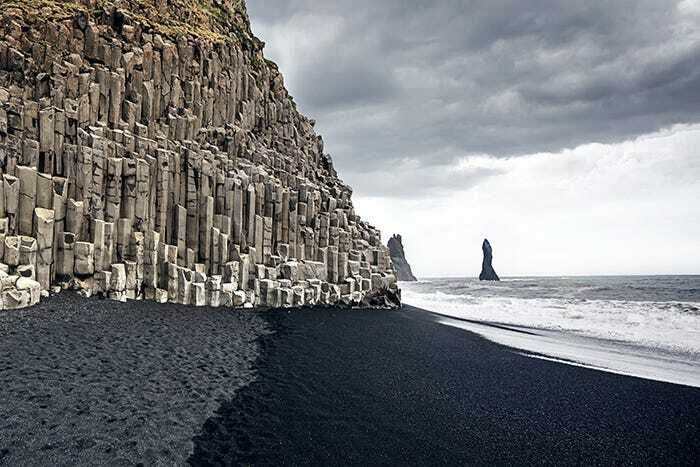 Right off the Ring Road and a top tourist destination in Iceland, this black pebble beach features spectacular basalt columns and sea stacks. This area is known for being rich birdlife, including puffins, fulmars and guillemots. Be cautious when visiting this beach because the waves are often strong and unpredictable. 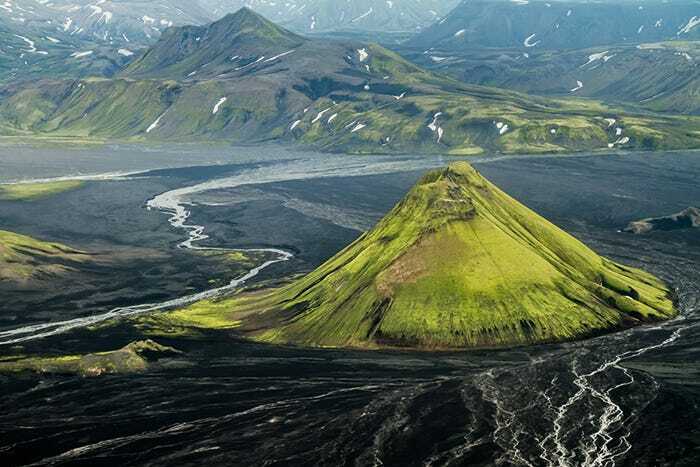 This highland area is located on the edge of a lava field that was formed in an eruption around the year 1477. 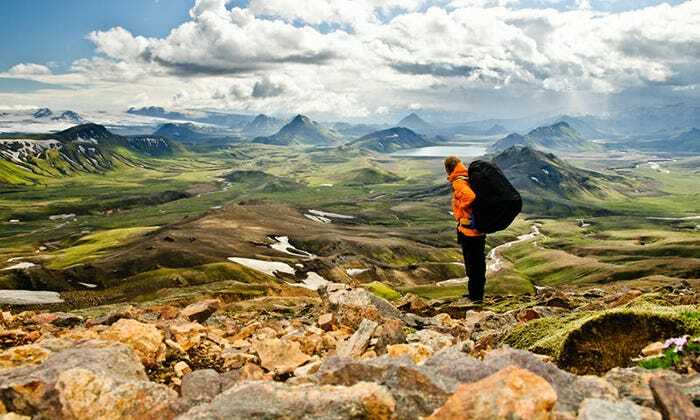 This is a dreamy destinations for hikers due to the unforgettable landscapes, including the colorful, rhyolite mountains and a view Hekla, Iceland’s most active volcano. You can also enjoy a natural geothermal hot pool here. 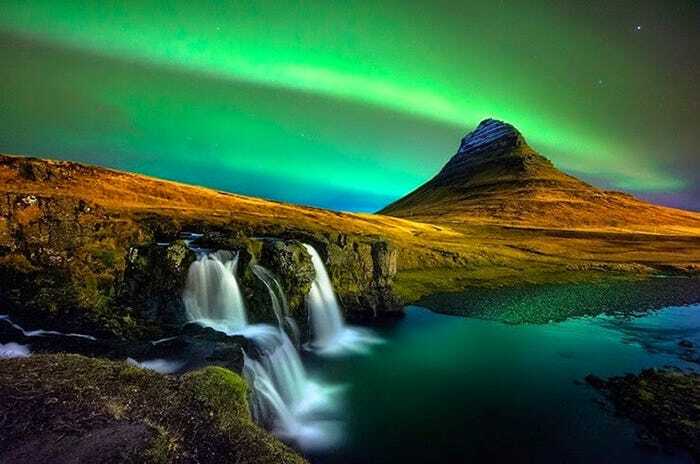 One of the most photographed places in Iceland, this mountain is surrounded by a few small waterfalls and is an ideal place to admire the starry night sky and the Northern Lights. 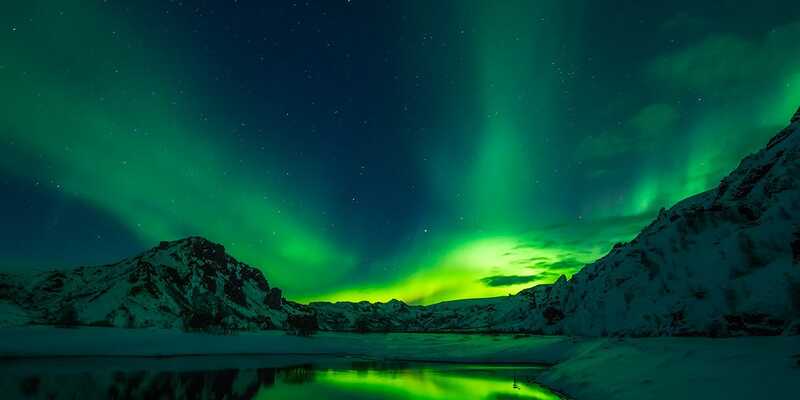 The best time to view the Northern Lights in Iceland is between September and January. 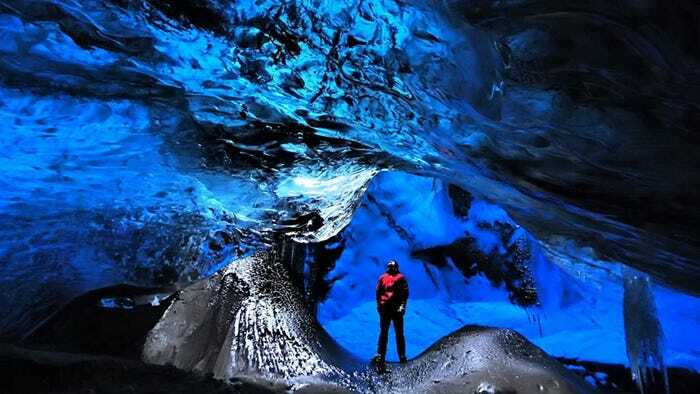 During the winter, ice caves can be found when the temperature on the Vatnajökull glacier drops below zero. Adventurers can take an unforgettable, guided tour into the glacier. The name literally means glacier river lagoon. 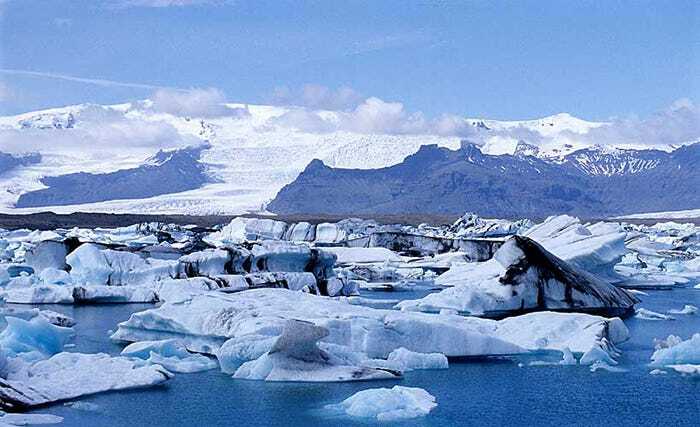 Situated at the head of the Breiðamerkurjökull glacier, this lagoon developed after the glacier started receding from the edge of the Atlantic Ocean. The lagoon is full of parts of the glacier that have broken off. Located right off the Ring Road, this 197 ft tall waterfall is a well-known natural wonder in Iceland. One of the coolest things about this waterfall is that you can view the waterfall from behind. Well, what are you waiting for? Iceland awaits! Did we miss something? Message us on Facebook and let us know (oh, and hit the ‘like’ button while you’re at it)!